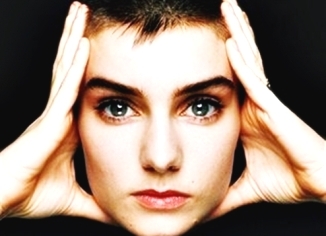 The earlier single Troy may have been the artistic breakthrough for the controversial Irish singer Sinead O'Connor (image credit), but it was her 1990 cover of the Prince song Nothing compares 2 U that catapulted her to the top of the charts all over the world, including a four weeks spell at #1 in both the UK and the USA. The video clip helped - who can forget her shaven head and the tears on her cheeks? Whereas the clip admittedly bordered on kitsch, from a musical point of view there is nothing wrong with this beautiful love song, and certainly nothing wrong with the sincere personal heartfelt rendition.